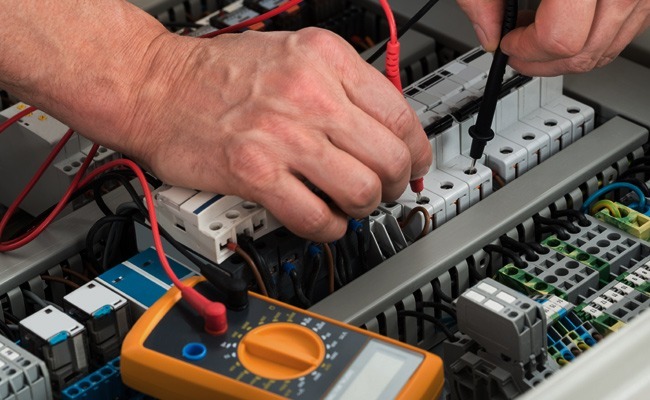 Fixtel licenced electricians are skilled and well-experience in assessing your current power and electrical requirements, aimed to design, install, commission and maintain all your electrical needs. Fixtel is considered to be a leader in the electrical field, well-equipped with the appropriate skills and knowledge when it comes to electrical, telecommunications, data cabling and phone systems. Melbourne, South Melbourne, Dandenong, Geelong, Moorabbin, Frankston, Tullamarine, Ballarat, Mulgrave, Clayton, Box Hill, Thomastown, Essendon, Tarneit, Hoppers Crossing, Campbellfield, Greensborough, Seaford, Werribee, Dandenong, Knoxfield, Blackburn, Epping, Craigieburn, Derrimut, Altona North, Williamstown, Port Melbourne, North Melbourne, Footscray, Yarraville, Hawthorn, Richmond, Albert Park, Collingwood, Carlton, Burwood, Bayswater, Ringwood, Berwick, Cranbourne, Mornington, Sorrento, Laverton, Melton, Sunbury, Glen Waverley, Ferntree Gully, Camberwell. Sydney, North Sydney, Inner West, Sutherland Shire, Wollongong, Newcastle, Chatswood, Parramatta, Liverpool, Bankstown, Homebush, Botany, Ryde, Castle Hill, Glebe, Blacktown, Bondi Beach, Silverwater, Eastern Creek, Ashfield,Surry Hills, Smithfield Baulkham Hills, Lane Cove, Mosman. Call us on 1300 349 835 or contact us online to speak to a Fixtel Customer Solutions Adviser today about electrical services.